On 24th February 1923, the Flying Scotsman left the works for the very first time. Now, exactly ninety years later, to mark this very special anniversary, I decided to re-trace the famous locomotive’s most historic journey, from London to Edinburgh, taking with me 750 specially designed Flying Scotsman covers. 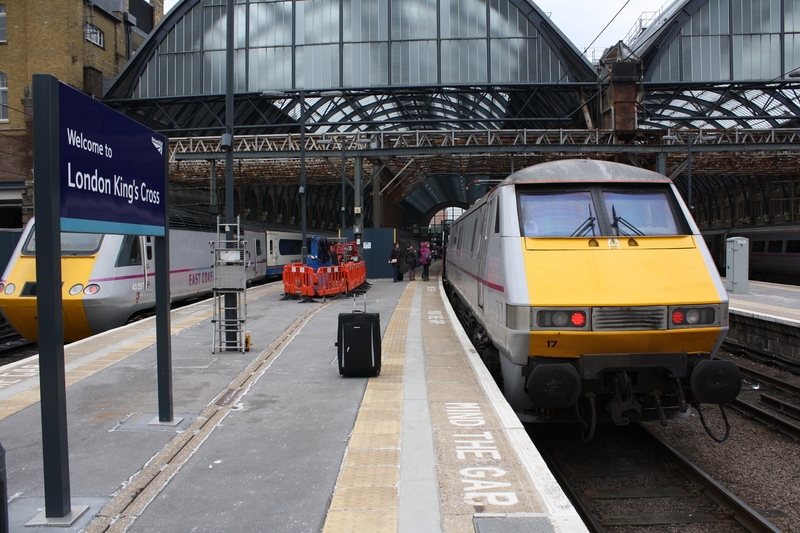 Starting off at London’s Kings Cross with the 750 Flying Scotsman covers packed away safely in my case! As Philatelic Manager at The Westminster Collection, part of my job is to come up with unique and innovative ways to add value to our commemorative stamp products. Last year, for example, I arranged for a small number of covers to be carried on board one of the ships taking part in the River Thames Pageant for the Queen’s Diamond Jubilee. It proved an instant hit with collectors. So there I was on the 2.45pm train to Edinburgh. Got my ticket, my overnight bag and those all-important covers. Before boarding, I arranged for the Royal Mail English Definitive Stamps on the cover to be postmarked ‘London’ 24th February, and then we were off! I’ve no idea what the weather was like in 1923 but today, unusually, it got warmer the further north. After just 4 hours 39 minutes, we arrived at our destination, Edinburgh’s Waverley Station. No delays, no leaves on the line and no replacement bus service, it had definitely been a lot quicker than that first 1923 journey! 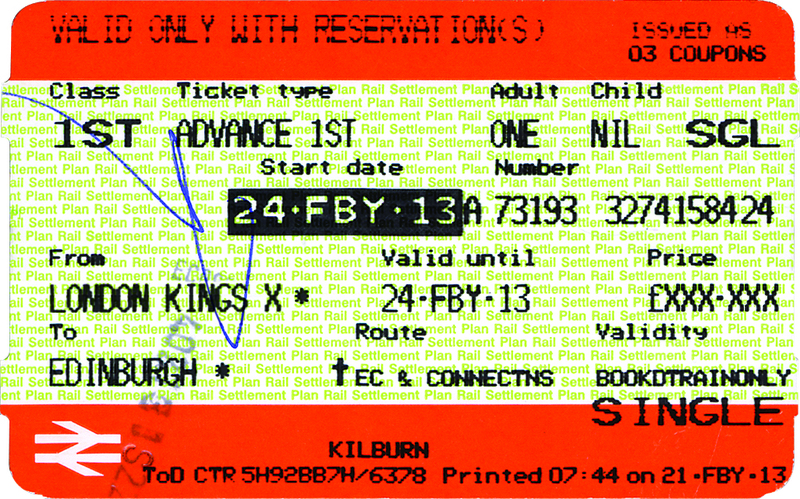 To complete the Flying Scotsman cover, the following morning before starting my return journey to London, I made my way to Royal Mail’s Edinburgh Postmarking Office to have the second cancellation applied to a set of Scottish Royal Mail Definitive Stamps – this Edinburgh postmark was dated 25th February. Due to the cover’s uniqueness and the fact that this one-day-only journey on 24th February 2013 will never be repeated, no more covers will ever be available once all 750 have been sold. 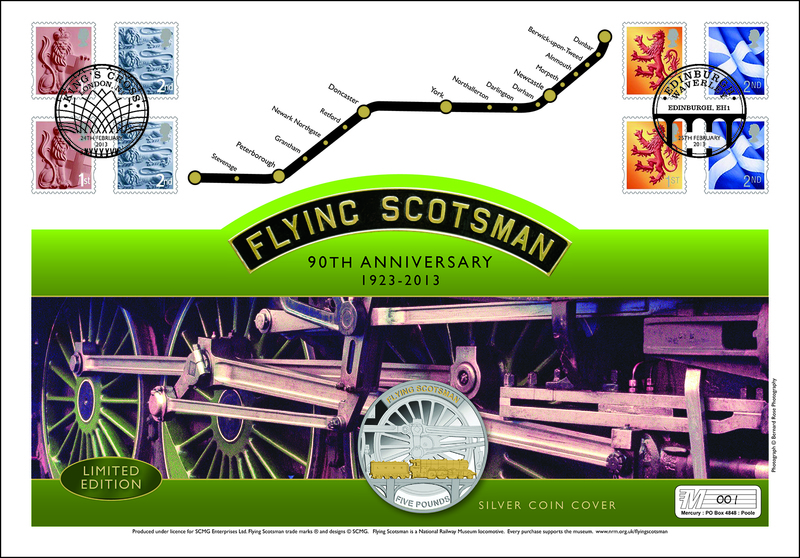 Order your Flying Scotsman Carried Silver Coin Cover here. The accompanying Certificate of Authenticity confirms it is one of just 750 that travelled from London to Edinburgh on the exact anniversary date. For a full range of Flying Scotsman Commemoratives – click here.